I am once again starting a run of parts. I need 10 people minimum to commit to get this run going, more are welcome! If we get 15 people to commit I'll knock another 5% off! This offer covers all generations of VF & VFR. 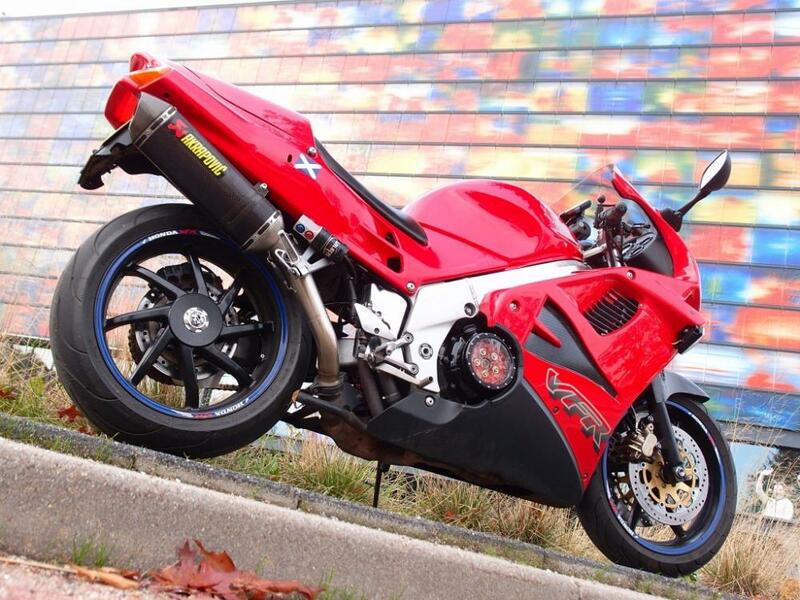 If you are a VF/VFR owner, the window can be made to fit your bike! Fits other bikes also, please ask about fitments! Turn around time will be 1-2 weeks max, usually faster. 2. Ship your donor cover, or drop ship a donor cover via ebay/etc. As showcased in other threads, you may also paint or powdercoat your pressure plate to display the color of your choice. Currently, I do not offer paint or powdercoat services personally, but I can help with some recommendations if needed. Feel free to send me a PM, but please make sure you post in this thread if interested, as I will use this thread for tracking purposes. I will be down after I recover from Christmas. Not right now, though. You can still get in with just a down payment. I held parts for folks for almost a year on the last go. I wouldn't want to do that for everyone, but I am flexible. I'm the guy who contacted you on Instagram with the 2003 with 2,200 miles on it. Count me in. I left you my email on Instagram messages. What kind of shape does the used cover shipped to you have to be in Seb? I am down with this for my 95 , PM sent! Sorry to hear that bud. Donor covers can be fairly banged up really. Dents, cracks, rash, all ok to send. The only covers I've rejected have had cracks that extend to the gasket surface. I've turned these down as I can't guarantee the flatness without much more effort being put it. That effort usually outweighs the cost of a second cover. I do prefer them to be as clean as posdible when they arrive. Free of oil at least. Makes my job easier, aluminum welding requires a high degree of cleanliness. Fixing minor rash/dents/cracks that fall outside the cut area always have and will continue to be fixed free of charge as I process the covers. If you are on the fence on this mod, just treat yourself and do it. There is a donor cover for sale in the classifieds right now. I've got a spare 1200 cover rashed up and ready to send to SEB for this mod if anyone is on the fence. Thanks for sharing your pics all! I'll take one. My email is 65matt@gmail.com thanks! 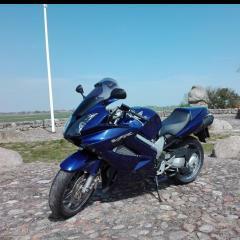 Hi Seb, I’m new here and new to the whole online forum stuff. Love the product and I’m highly interested in this. 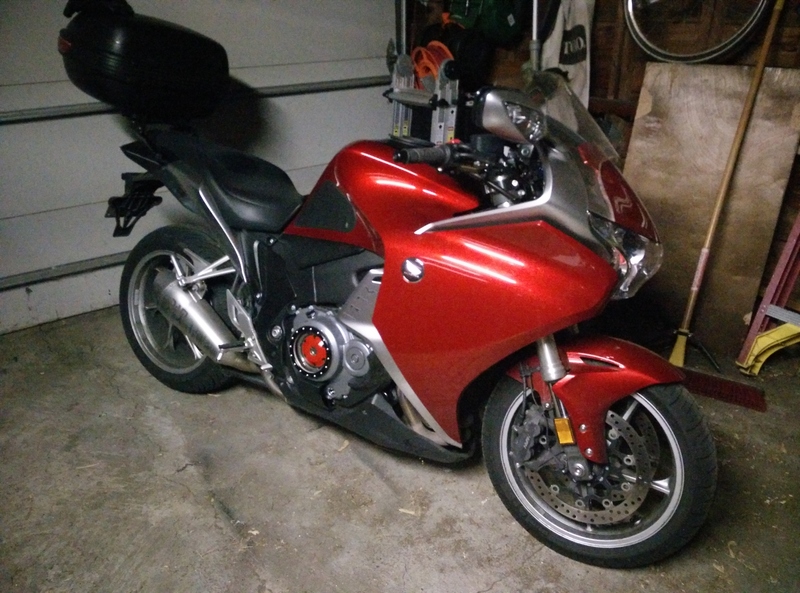 Would you be able to source a cover for a 94 VFR 750, and add it to the price for me? Saves on the price of shipping 1 from Aus over to you then. This would be the first mod for my first project bike. Hello! Yes, I can keep an eye out for one. If you are an eBay user, you can try setting your search by location and choose to only view USA results. If you find a suitable part, most sellers will take your money and drop ship to me - I'll provide my address if needed. Great thanks Seb. Flick me through details at bryanhenderson1@bigpond.com of how to make a payment to you for this, plus shipping address if I manage to find 1 first (I’ll get it shipped directly to you). 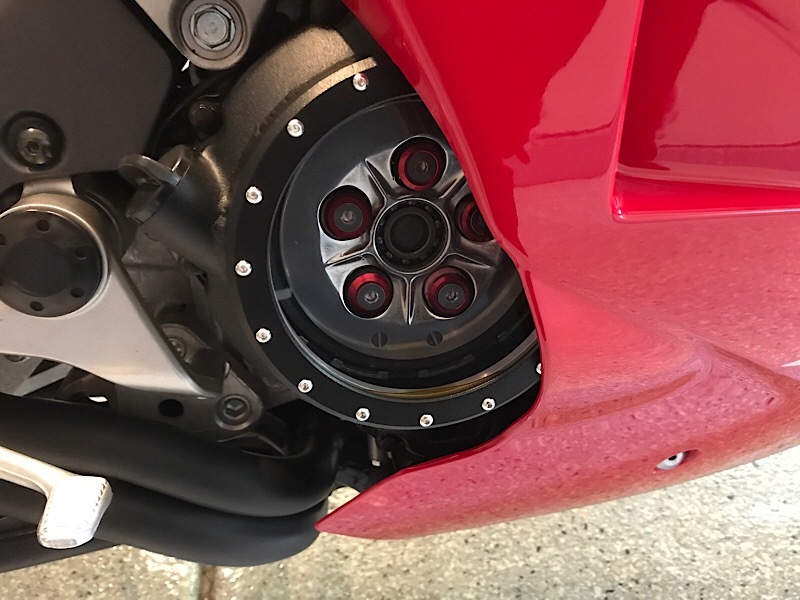 There's never a good time to *need* a new clutch cover, or a set of fairings, but wow this group buy is coming at a good time after a recent low speed incident. *sniff, sniff* . Count me in. Just out of curiosity, does the factory finish outside of the cutout get damaged?